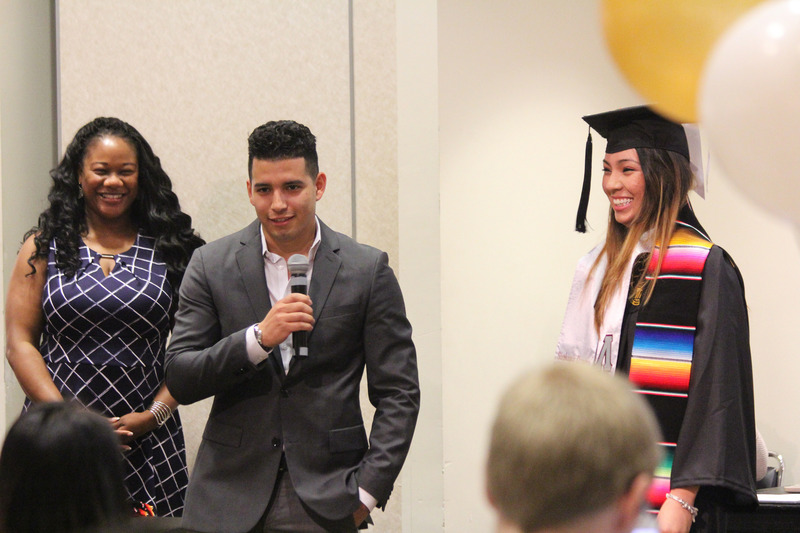 On Thursday, May 11, 2017, the Office of Multicultural Student Affairs (OMSA) sponsored the Cultural Achievement Ceremonies for Latinx and black undergraduate and graduate students. 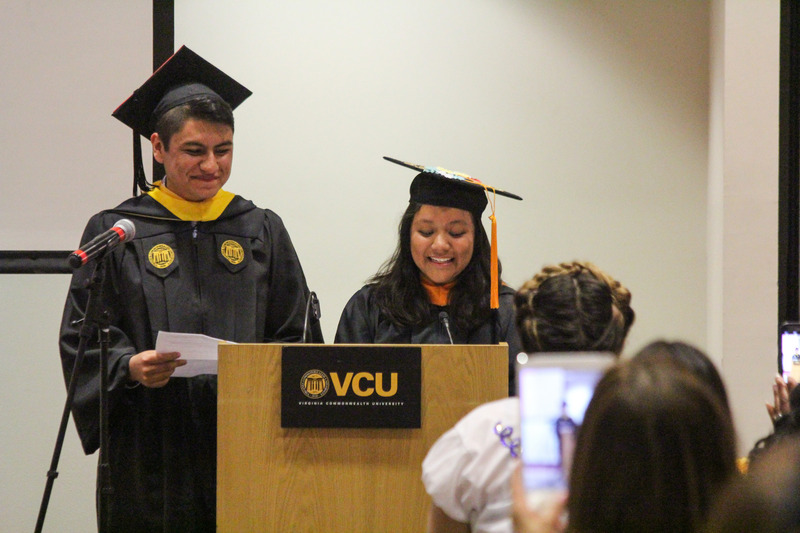 The VCU Latinx Achievement Ceremony, which celebrates the accomplishments of Hispanic and Latinx undergraduate and graduate students, was held Thursday, May 11 at 2 p.m in the Richmond Salons of University Student Commons. 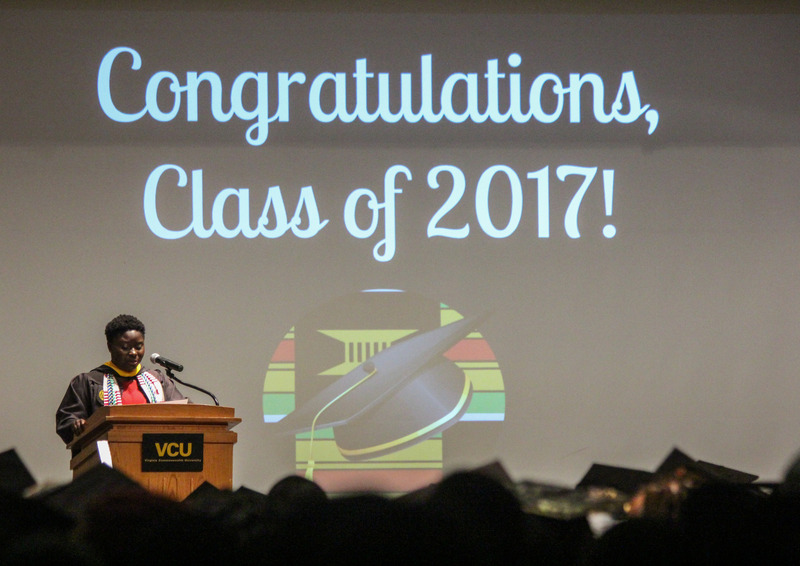 This ceremony provides students with a rewarding opportunity to recognize their accomplishments and the unending support and encouragement received from family members. Before commemorative stoles were given out, a series of speakers came on stage to congratulate and encourage the graduates. Maria-Cristina Gavilan, President of Latino Alumni Council, urged the students to never stop fighting for their dreams. “It doesn’t matter what it may be because today is the day you all start your own legacy,” Gavilan said. 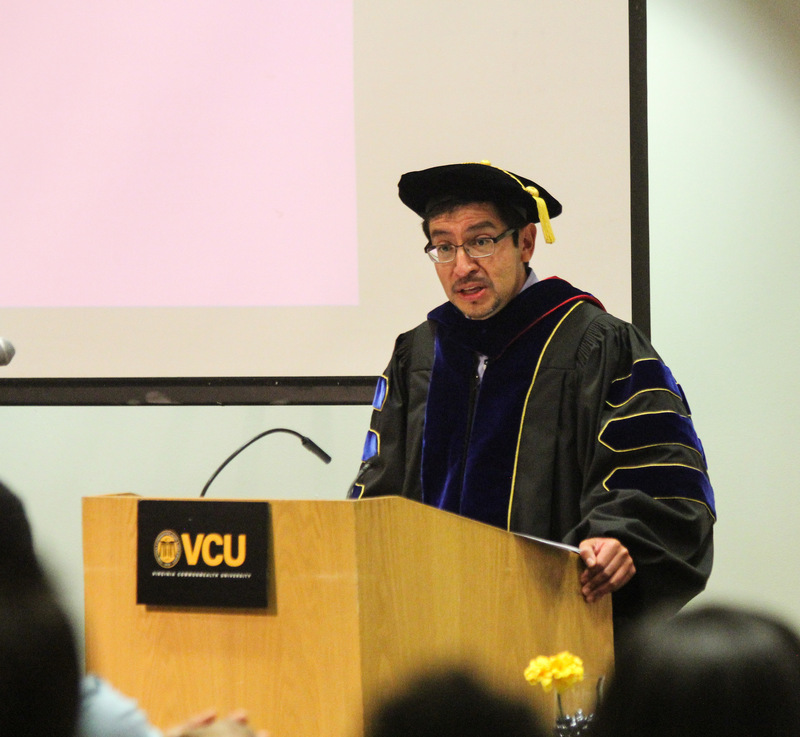 The keynote speaker this year was G. Antonio Espinoza, Ph.D., associate professor of modern Latin America in the VCU Department of History. Espinoza paid special attention to the role that family and friends had in each graduates path to graduation. “Remember all of the sacrifices that your family has made to ensure that you made progress. Keep in mind all of the love and hope that they have invested in you,” Espinoza said. Family and friends were ushered on stage alongside the graduates, where graduates weregiven a commemorative stole that they can wear during Commencement. Family members were given the chance to say a few words about their students accomplishments, noting that many of the students are the first in their family to graduate college. For more photographs from the Latinx Achievement Ceremony, visit the USC&A Flickr. 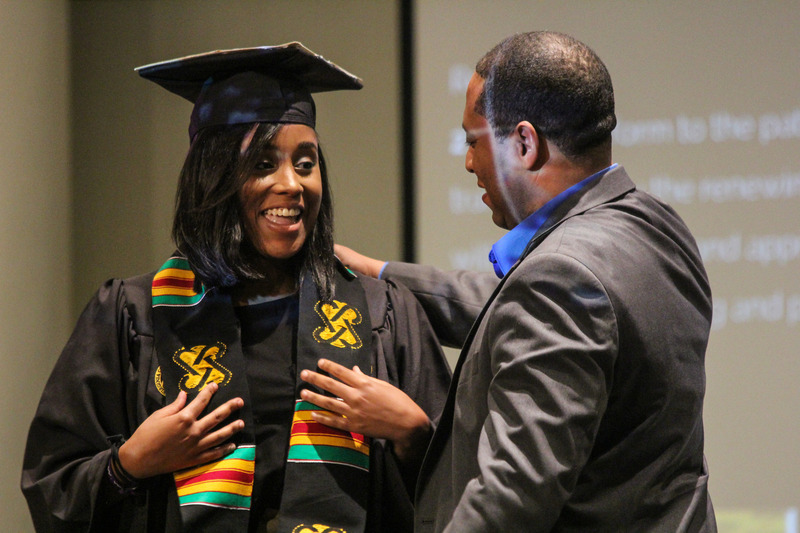 The second annual Donning of the Kente Ceremony was held on Thursday, May 11 at 5 p.m. in the Commonwealth Ballroom of University Student Commons. Participants in this year’s Donning of the Kente Ceremony tripled in size from last year. The Donning of the Kente Ceremony serves as a celebration of achievement for black students and provides them with a positive and rewarding experience that recognizes hard work, dedication and perseverance. Each graduate receives a Kente stole, placed on them by family and friends to wear during Commencement that symbolizes their academic achievement. Pascaline Ezouah, student leader and biology major, was the student speaker for the evening. Ezouah reminded the audience of all the hardships they have faced in the last year alone, but advised them to rise above it and use the heartbreak as fuel. “We cannot allow things that are outside of our control to stop us in our tracks” Ezouah said. Willis charged the graduates with the goal of making the world a better place for their children to inherit. 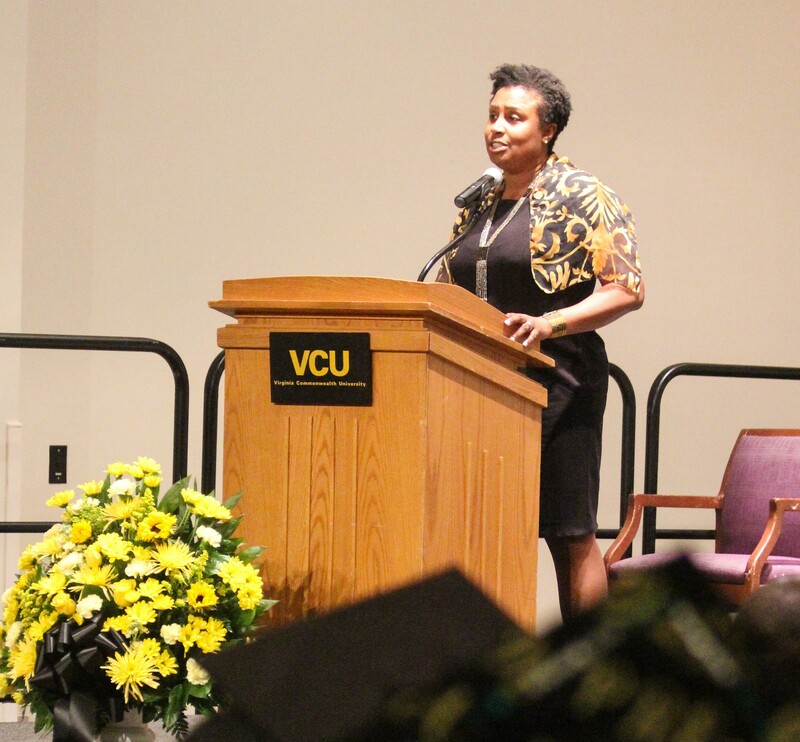 The ceremony concluded with closing remarks by Yolanda Avent and was followed by a reception. For more photographs from the Donning of the Kente Ceremony, visit the USC&A Flickr.